Nassef and Naguib Sawiris are among the top 10. Prince Al-Walid bin Talal on top as the richest Arab. The Sawirises, the Mansours and Al-Fayed all made it to Forbes list of richest Arabs 2017, released this April. 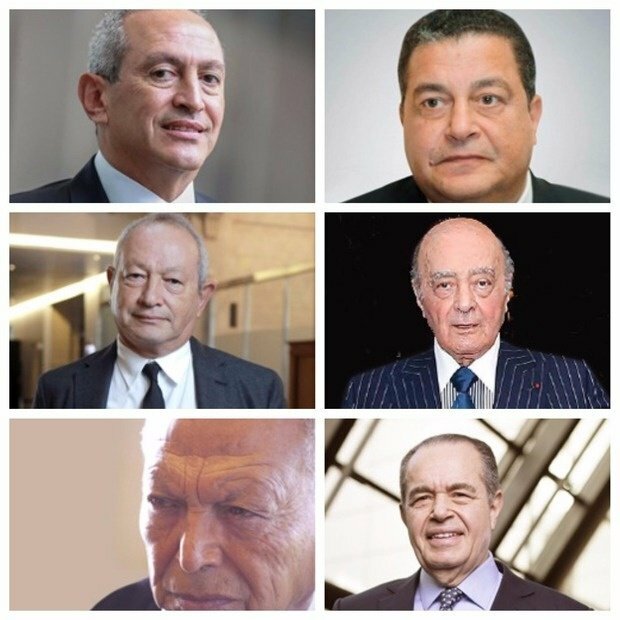 Nassef Sawiris is Egypt's richest man with a wealth of $5.6 billion, followed by brother Naguib with $3.9 billion.The Sawiris brothers come at ranks 5 and 8 on the list of richest Arabs respectively. Mohamed Mansour missed the top 10 and came at number 12 and at the 3rd place in Egypt with net worth $2.7 billion. Two Egyptians shared the 22nd place, Mohamed Al-Fayed and Yasseen Mansour both with $1.8 billion. Onsi Sawiris came at number 33 with net worth $1.2 billion, and the last among the Egyptians was Youssef Mansour with $1.1 billion leaving him at 38th place. Forbes stated that the total aggregate worth of the richest Arabs saw an increase of 29.2% since last year to reach $123.4 billion in total. Saudi Arabia alone has 10 billionaires, the largest number among other countries, and they are also the richest with total worth of $42.1 billion. Al-Waleed Ibn Talal is the richest Arabs with $18.7 billion. Meanwhile, Lebanon is the country with the highest number of billionaires per capita. The list has a total of 42 billionaires and is dominated by certain families, like Al-Futtaims, Al-Thanis, Al-Khurafis and Al-Hariris.